A Nigerian man on Ig declared his feelings for Sonia Morales, estranged wife of Nollywood popular actor, Ik Ogbonna. I guess he is captivated by her beauty. Who wouldn't be, I mean, she is really gorgeous. The follower who goes by the insta handle @chinedubiere even went as far as proposing marriage to the mother of one. 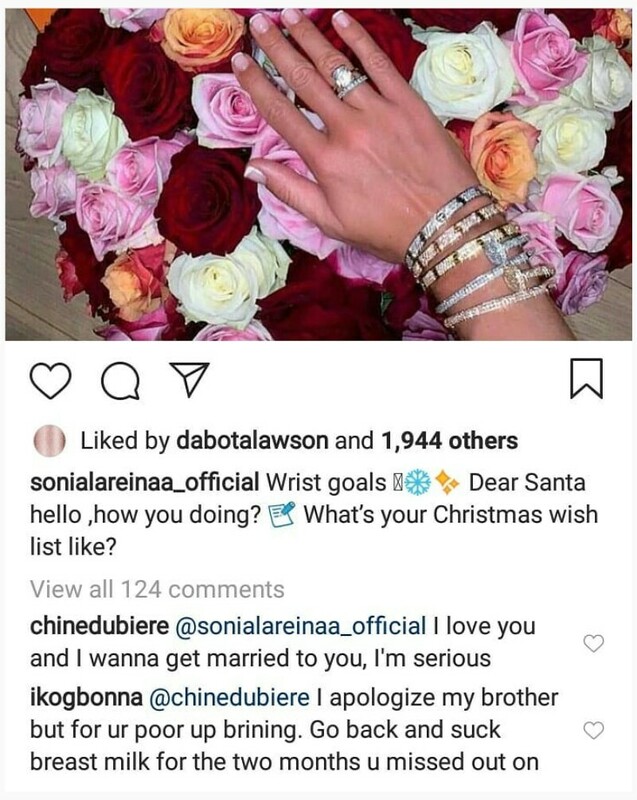 But I bet he never saw Sonia's jealous husband, Ogbonna's reply coming. Remember that IK Ogbonna was recently alleged to have sent his nudes to reality TV star Nina.This was revealed after her account was hacked by an unknown hacker. 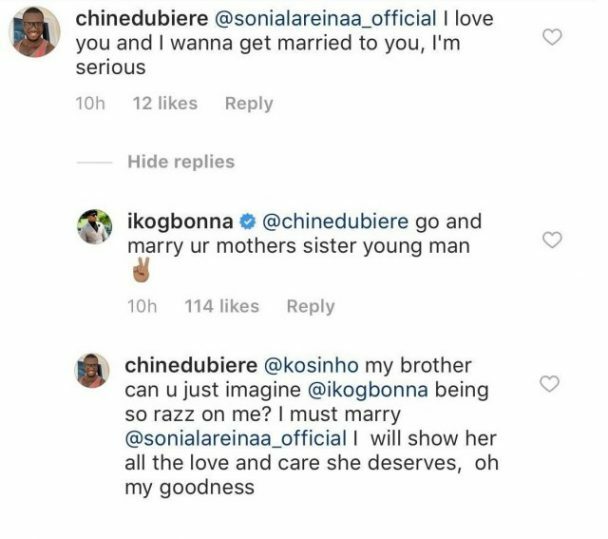 I hope Ogbonna resolves things with his wife as it is obvious that they are still very much in love.